From being a reporter for the Manila Times and the Philippine Herald, Lorenzo "Larry" J. Cruz left his job and opened Cafe Adriatico, the very first restaurant of the JFC Restaurant Group. I guess we could thank him for starting themed restaurants in the country as most of the restaurants under the LJC Group has a vintage Spanish and Mediterranean touch. LJC is known to be the pioneer in theme/concept restaurants in the Philippines. 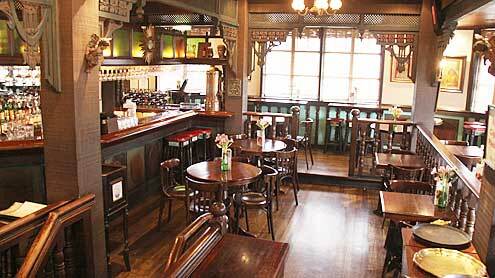 Cafe Adriatico is the flagship of the LJC Restaurant Group. when it first opened its doors in Remedios Circle in Makati, 1979, people from different social clusters starting buzzing about the delicious food and impeccable ambiance the cafe has to offer. The menu boasts of their Spanish-Mediterranean dishes that also reflects on our Filipino heritage. My personal favorite is Lola Ising's Adobo Rice which is basically deep fried pork belly on a bed of rice which is sauteed in adobo sauce, accompanied by a special adobo dip. I love adobo and I will never get sick of anything adobo. Abe is a restaurant dedicated to LJC's father, Emilio "Abe" Cruz, who was an artist-writer, a gourmet and bon vivant. 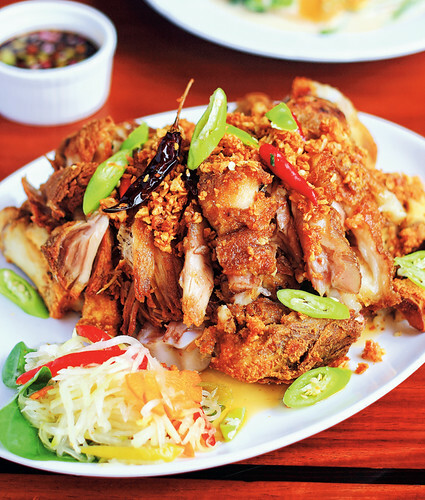 This restaurant serves traditional Filipino dishes leaning towards the Kapampangan side. These dishes were inspired by Abe's travels around the world. After the death of Abe, LJC dreamed of setting up a resort and restaurant all in one in memory of his father. 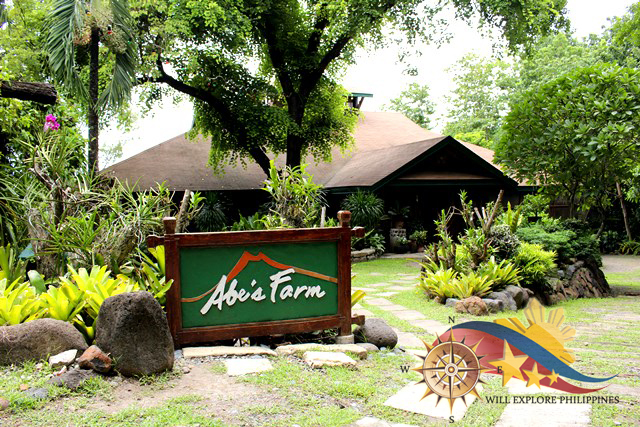 Abe's Farm is located near the foot of Mt. Arayat in Pampanga. Aside from the restaurant, there is a pool and a spa for those who want to unwind and relax. You could spend a couple of nights in the wooden Ifugao huts (that are air conditioned, mind you.). While there is a restaurant dedicated to LJC's father, of course, there is one devoted to his mother, Felicidad De Jesus-Cruz. Fely J. 's dishes serve treasured recipes picked up from Fely's travels in Fely's style: fresh, natural, and attractive. The one and only branch is located in Greenbelt, Makati City. When Larry J. Cruz passed away in 2008 due to complications from cancer, a tribute in his memory and his personal preference that comprised of baklava, paellas, and tapas, started Lorenzo's Way. This restaurant features the signature dishes of the other popular LJC restaurants. Going back to where it all started, Ang Bistro sa Remedios offers country cooking in a chic setting. This is the 3rd bistro and 5th restaurant of the LJC Restaurant Group. The two-storey, mid-20th-century home fit for the ilustrados of Manila from the past, comes this restaurant which offers Kapampangan heirloom recipes of the Cruz family. If you're brave enough, you should give their Betute a try! (If you must know, it's stuffed, fried river frogs) Also, don't leave out their Crispy Spiced Camaru (rice field crickets). Thanks to Lorenzo "Larry" J. Cruz, themed restaurants and cafes are spreading out all over the country. I guess what sets the LJC restaurants apart from everything else is that they have their signature vintage touch that offers a look and taste of Philippine history in every corner. Someone once said, Larry can't cook, but he sure did create great concepts that redefined Philippine cuisine throughout the years. Molecular Gastronomy is the science of cooking. It is the fusion of chemistry and physics to alter the tastes and textures of food as well as the study of the physical and chemical processes that occur while cooking. Many chefs are experimenting with food and tools from science labs. Chefs study the changes of behavior and taste in food when placed under different conditions. These modern chefs despise the term molecular gastronomy as a way to describe their cooking style, instead they'd rather call it, "modern cuisine," or "avant-garde" cuisine. One of these chefs is Heston Blumenthal, who believes that the term molecular gastronomy makes cuisine sound complicated and elitist. Hailing from Paddington, London, Heston Blumenthal is a self-taught chef who owns The Fat Duck, which is one of four restaurants in Britain to obtain three Michelin stars. Blumenthal supports the importance of scientific understanding in cooking. His love for cooking sparked at the age of 15, when he and his family went to a Michelin-starred restaurant, although it took him a couple of years to start off his cooking career. His evenings were devoted to self-teaching the French classical repertoire. The book On Food and Cooking: the Science and Lore of the Kitchen by Harold McGee was one of the most notable readings in Blumenthal's self-education. The book encouraged Blumenthal to "adopt a totally different attitude towards cuisine that at its most basic boils down to: question everything," as he said in his The Big Fat Duck Cookbook. Blumenthal is known for his scientific way of cooking and holds numerous honorary degrees for this. He uses liquid nitrogen to "cook" food, experiments with amplification to intensify sound, like to make the crunch more audible (who knew that was possible? ), sous-vide cooking technique which is cooking food in a vacuum-sealed bag in a really low temperature water bath for a long period of time. He also believes that the best way to boil an egg is to not boil it. Confusing, but the instructions for that are here. "Mandarin" filled with chicken liver pafait. Scrambled Egg and Bacon Ice Cream. Thanks to Harold McGee, Blumenthal questioned traditional cooking methods which led him to create combinations which at first seems unusual. The Fat Duck offers a fourteen-course tasting menu. The menu includes Blumenthal's infamous snail porridge, scrambled egg and bacon ice cream, oyster and passion fruit jelly on lavender served in an oyster shell. Blumenthal and The Fat Duck prompted the bacon dessert craze, serving bacon flavored ice cream as early as 2004. The combinations are quite unorthodox and possibly repulsive for some customers, but the flavors play with the brain and palate surprising the taste buds with an unexpected smack. Ah, Valentine’s Day, the feast of Saint Valentine. The day of flowers, candlelit dinners, gigantic teddy bears with hearts that say “Happy Valentine’s!” or “I love you!” or some cheesy line like that, romantic surprises, and chocolates. It is the day when lovers express their love for each other. It is also known as Single Awareness Day for those who aren’t involved in a romantic relationship. These people have their own way of celebrating this day. Many countries around the world celebrate Valentine’s Day, although it isn’t a holiday in most of them. Valentine’s Day in Finland is called Ystävänpäivä which translates to “Friend’s Day.” It is more about remembering all your friends, not just your special person. Valentine’s in Greek tradition was not linked with romantic love, but in modern Greece, the tradition has been overridden by the globalized form of Valentine’s Day. In South Korea, women give chocolates to men on February 14, while men give non-chocolate candy to women a month after. On April 14, if a person did not receive anything on either of the days, s/he goes to a restaurant to eat black noodles and mourn their single life. The 14th of every month marks a love-related day in Korea. Here in the Philippines, Valentine’s is celebrated in a similar manner as in the West – giving of flowers and/or chocolates, romantic dinners, etc. These small, bite-sized bars which melt in your mouth are a popular Filipino delicacy. You can eat this by dividing it into smaller blocks, or dividing it lengthwise, or just simply shoving it down your mouth, although, it isn’t advised as it sticks to your throat (like polvoron, except less coarse) and you could choke. The sweet blend of cocoa powder, peanuts, milk, and cane sugar dance with your tongue as you scrape the remains of the Choc Nut from your teeth. If you think a bar of Hershey’s Milk Chocolate is too mainstream or too thin (and still out of your budget), give Goya Milk Chocolate a try. The creamy and concentrated chocolate leaves you wanting for more. Although, be careful because too much chocolate could end up with an irritated throat and distaste for it. Theo and Philo Artisan Chocolates are made in Davao, Philippines. With its packaging, you wouldn’t think it was chocolate- your S.O. would think you’re giving him/her a box of art materials or a book. This isn’t your usual sweet chocolate. It has a rich and strong cacao taste which greets your tongue. Now, who wouldn’t love to grab a Snickers bar? It is casual, yet highly satisfying. Roasted peanuts, caramel, nougat, and milk chocolate – perfectly combined to make sure you don’t easily get sick of the taste of milk chocolate. Seeing that 50% of its ingredients are either cocoa or milk, you’re definitely in for a creamy, chocolate delight. Contrary to the traditional black and white packaging, this Lindt offering comes in a bright red box. The chocolate instantly melts in your mouth, releasing a fondant filling just as smooth as the chocolate itself. You don’t need to spend a couple of hundreds (or thousands, even) for a small bar of Swiss chocolate to be given to your man/woman. Presentation is the key- incorporate these simple chocolates into bouquets you’ve personally made, create a mini amazing race around her house or whatever cute idea you come up with. Exert effort on pulling off something creative and sweet personally, rather than pulling off huge bills from your wallet. These are some of the usual questions that would pop up when Erwan Heusaff’s name is heard. Sure, he’s known for being both Anne Curtis’ boyfriend and Solenn Heussaff’s brother, but there’s so much more to this man than that. He’s no model or actor, but he certainly made a name for himself. Take a look at his social networking sites and you will see how people ask him about food and wellness. So, who is The Fat Kid Inside? “You can imagine what being that big does to a person, it makes you feel ugly, slow, hopeless and desperate, the more you try to hide it the more it comes gnawing at you.” Erwan writes in his blog. Determined to stop his unhealthy way of life, the 26-year old Filipino-French restaurateur/entrepreneur, cocktail connoisseur, health buff, and triathlete started his blog, The Fat Kid Inside, to express his passion for food and help people who want tips on how to get healthier and fitter. He writes about healthy eating and living a fit life. Seeing how much of a babe he is now, you wouldn’t believe this man used to weigh 240 pounds. Do you want proof? Erwan at 19 years old, circa 2006. Now, wouldn’t you want to pinch those cheeks? Kidding aside, look at how much he’s changed! Since then, he has shed off 91 pounds. Erwan cooked his way to fitness, making sure that every dish has the right amount of everything and that he gets enough exercise. That’s pure dedication, knowing that we live in a world of fast food and calorie-filled dishes seemingly sent from Heaven. His drive for staying fit and healthy has inspired a lot of people to do the same. After all, sharing his advocacy was one of his goals when he started his blog. Every blog entry consists of original recipes that give off such a wonderful sight (and it’s not just the food we’re referring to. Wink wink). As a restaurateur, blogger, writer for Esquire magazine, part of this delicious TV show called Hot Guys Who Cook, he still finds time to exercise and train for triathlons every week. As cliché as it may seem, Erwan Heussaff sticks to what he knows and pushes it to the limit. His passion for the healthy life, for food, and for inspiring others sets him off from other people. His face and hunky body are just plus points to the fact that he is a babe. Mhmm.